Children are curious by nature. They like to learn by doing and they love to play in the dirt. 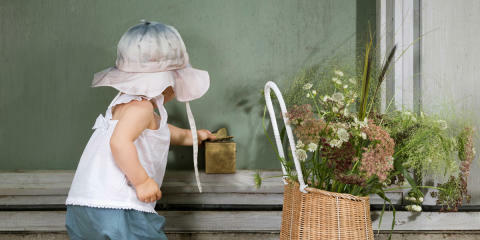 So, what could be better this time of year than introducing them to gardening. Imagine going out to pick your own vegetables or eating strawberries straight from the …vine? Strawberries grow on vines…right? We’re no gardening masters to be honest. But don’t worry! You don’t need to have the greenest thumb in the world for this to work. Here are a few tricks you can use to get your kids enthusiastic about even a modest little project... Read full article.